Despite the fact that the constitution of the country of Ecuador recognizes the rights of nature, much still remains to put in practice this groundbreaking legislation. A case in point is the threat to the natural integrity of the Cerro Blanco Protected Forest by a group of land traffickers. For some of you in the USA and elsewhere, this may be a foreign term. For over thirty years in Ecuador, and especially in the city of Guayaquil, much of the expansion of the city has not been in an orderly fashion. Instead, certain persons wrap themselves in a lie as being community leaders fighting for the rights of the people, in this case taking control of land by force and then dividing it up in tiny parcels to sell to mostly poor people in search of a roof to live under. Many of these “leaders” have strong political connections and one who operates in the Cerro Blanco Protected Forest buffer zone, even as a evangelistic pastor. The 15,000 acres protected since 1989 in Cerro Blanco due to their close proximity to the city of Guayaquil, has been a target for land traffickers in the past. 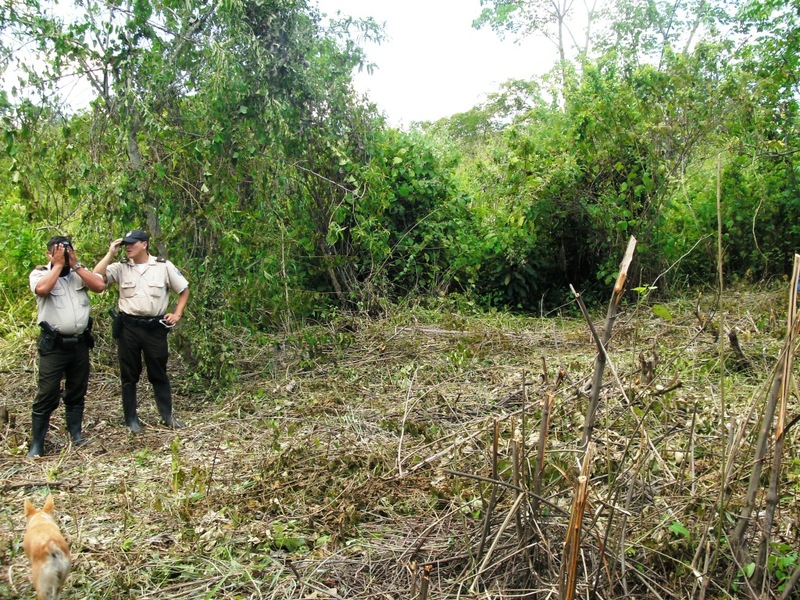 Both in 1997 and 2000 a so-called agricultural cooperative (just a front for the traffickers) tried unsuccessfully to take by force a part of the Cerro Blanco Protected Forest. Thanks in large part to the press and public pressure on local officials the threat was averted. 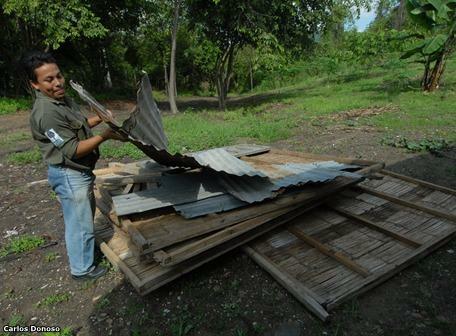 Once again, the land traffickers have appeared in Cerro Blanco. 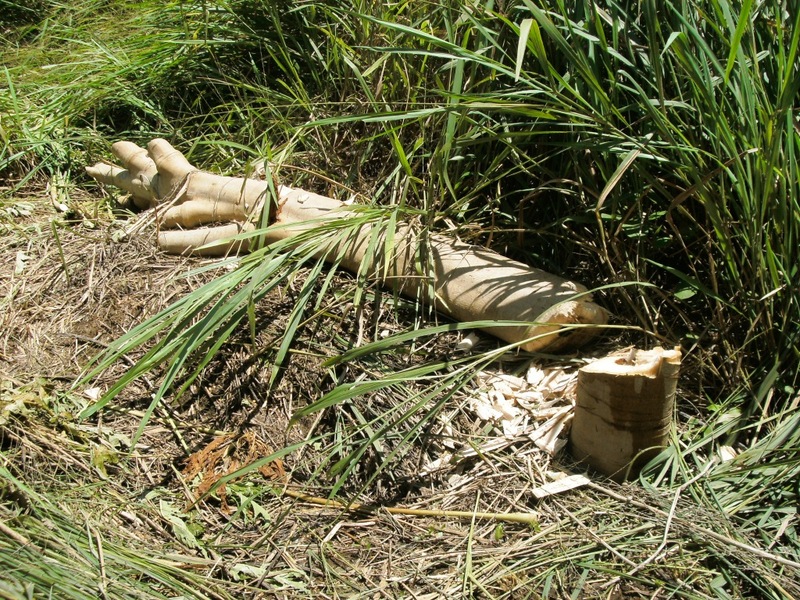 In June of last year, five persons were arrested by the environmental unit of the Ecuadorian National Police, while hacking fence lines in Cerro Blanco, on land owned by the Pro-Forest Foundation. Members of the environmental unit of the Ecuadorian National Police arrested the traffickers and the Foundation pressed charges. The five detained persons were held for a little over a month and then released, pending their trial. The leader of this group, has re-appeared, beginning on April 9th, sending a group of 13 persons including two lawyers to enter Cerro Blanco and clear an area of 1,600 m2 on land owned by the Pro-Forest Foundation, and planting corn. A total of 70 trees that were planted as part of a reforestation project, were cut down as well. We called the police to take action, as our park guards that are stationed near the site do not have a legal base to take action. Intimidated by the lies and deceptions of the lawyers accompanying the land traffickers, they failed to take action in this moment. After nearly a week waiting for the police to provide us with their report, we drew up a contingency plan for the three-day Easter holiday, suspecting the traffickers would strike again. Indeed, this happened and on Saturday, April 23rd, twenty people tried to enter Cerro Blanco by force with a pre-fabricated bamboo house. This time, the police acted decisively, preventing the traffickers and their lawyers from entering Cerro Blanco. Knowing that public opinion served in the past to move authorities to act, we put out Facebook and Tweeter messages, with results. El Expreso, a Guayaquil based national newspaper, provided coverage, while a friend contacted the Minister of the Environment, who ordered an investigation. The Police Superintendent also ordered the police to support us and today, personally inspected the sight of the land invasion and reiterated his help. Today, the situation in Cerro Blanco made the headlines of two other Guayaquil based national newspapers and yesterday and today, I gave interviews to four TV channels, Ecuavisa, RCT, TC and Canal Uno (Teleamazonas has also gone to the invasion site and filed a report). Right now our efforts are focusing on the authorities to sanction the traffickers both under the penal code for the attempt to take our land by force, and also to sanction with fines for the environmental damage, especially the destruction of the 70 planted trees. I will keep you posted as things develop.